To find a recognisable orchid hybrid in the wild is exciting, but they are sometimes difficult to identify accurately because, even in relatively small groups of hybrids with the same two parent species, there can be considerable variation in the shape, size, and most confusing of all, lip pattern and form of the flowers. 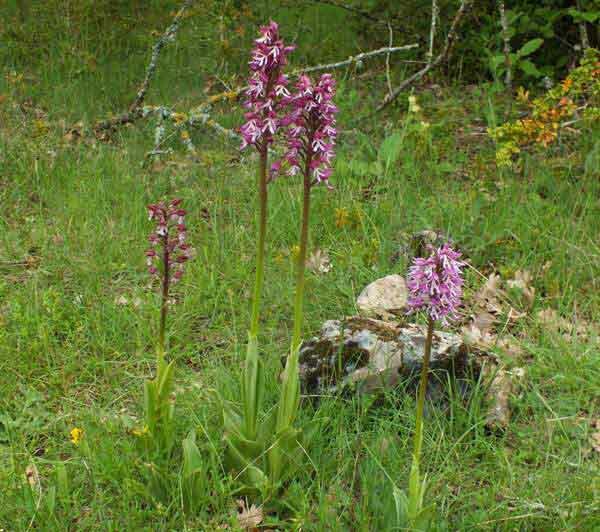 Hybrids between these two rare species have been reported in the UK but they are far more common in parts of Europe where both Military and Lady Orchids are also more common. Above: Centre two plants are hybrids between the Military Orchid and the Lady Orchid. To the right is one of the parents, the Military Orchid, and to the left another hybrid between the Military Orchid and the Man Orchid. These plants were photographed in southern France. Above: 1 - The Lady Orchid. 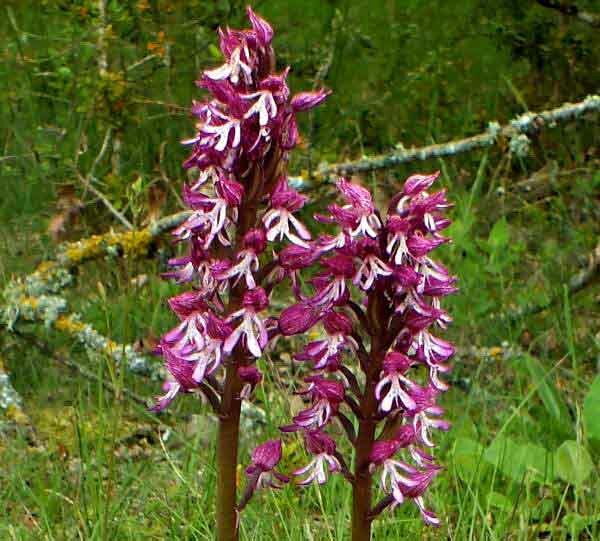 2 - A hybrid between Lady Orchid and Military Orchid. 3 - The Military Orchid.